Journey deep into middle-earth and visit the beautiful Mt Potts High Country station, home of Mt Sunday. This remote and peaceful mountain was transformed into Edoras, the capital city of the Rohan people in the Lord of the Rings trilogy. Immerse yourself in the natural, unspoilt beauty of this breath-taking area with its sparkling clear lakes, glistening blue rivers and fresh, crisp mountain air. Throughout your journey our friendly local guides will provide an entertaining and informative commentary. Learn about this spectacular region, the local flora, fauna and wildlife. You will also discover interesting and exclusive facts about the making of the Lord of the Rings movies. 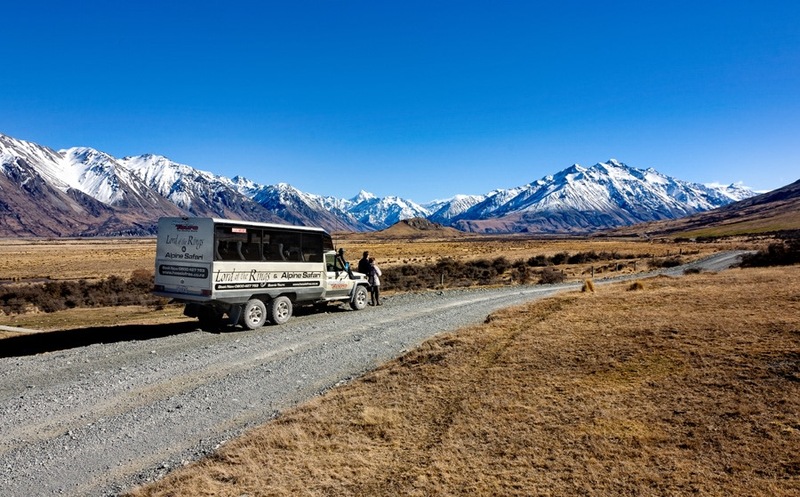 Whether you are a Lord of the Rings fan or simply want to enjoy some of the best scenery New Zealand has to offer, this tour that has it all! - A short guided walk to stand on the summit of Edoras and enjoy 360 degree views. - View exclusive ‘behind the scenes’ photos of the construction of Edoras. - Take photos with a collection of movie replica swords and flags. - Enjoy a delicious lunch including a large sandwich, sweet treat, orange juice, water and sparkling wine. (no private residence or Air BnB). Warm jacket and sensible footwear are required. See website for more details, bookings and T&C’s..